Marc Stein appeared on the Dan Patrick Show and shared what he was told on Thursday. I was told yesterday in pretty strong terms that [the Spurs] are ready to move on. They know that this relationship can’t be repaired. This is beyond Pop and Kawhi meeting face to face and fixing it as Pop was able to do with LaMarcus Aldridge last summer. It’s pretty much gone at this point. So, the relationship that the Spurs had cultivated over seven years with their star forward may now be irreparable, if Stein’s source is who I expect it to be — a person in San Antonio’s organization who spoke on condition that his name not be used, and who may have even done so with Gregg Popovich’s blessing. 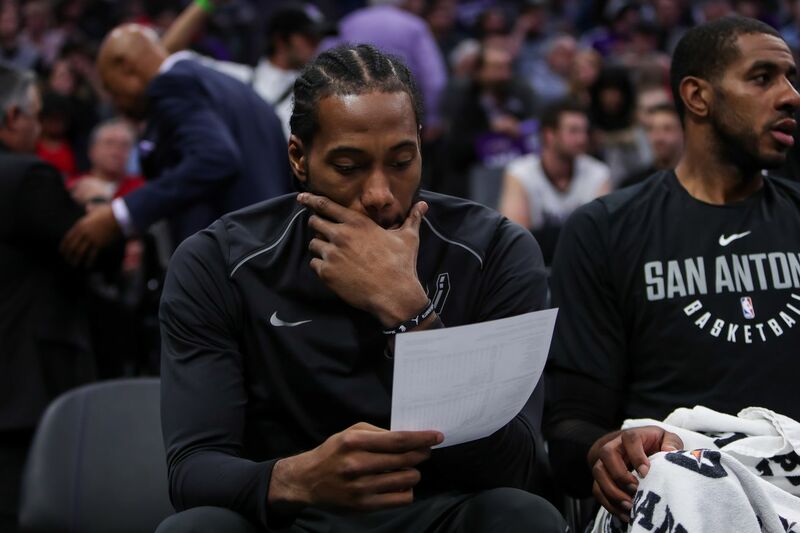 Which leaves us in the position we’ve suspected we were in, but without either side (Kawhi’s Group or PATFO) coming out and speaking on the record, all we have are these hints and reports to lead us to some kind of general idea of what is happening. At this point, I’d be surprised (pleasantly so, but surprised nonetheless) if Kawhi stayed in San Antonio. I hate to admit it, but that’s where we are.